This cheerful undead fish is just looking for a few scraps of brains left for him — zombies are notoriously sloppy eaters, after all. He’s on the back cover of my Cthluhu Coloring Book (one of the bonus zombies! ), and was one I was most looking forward to coloring myself. His tattered flesh glows an eerie green, but his attractive orange-and-white spots still show through in places. 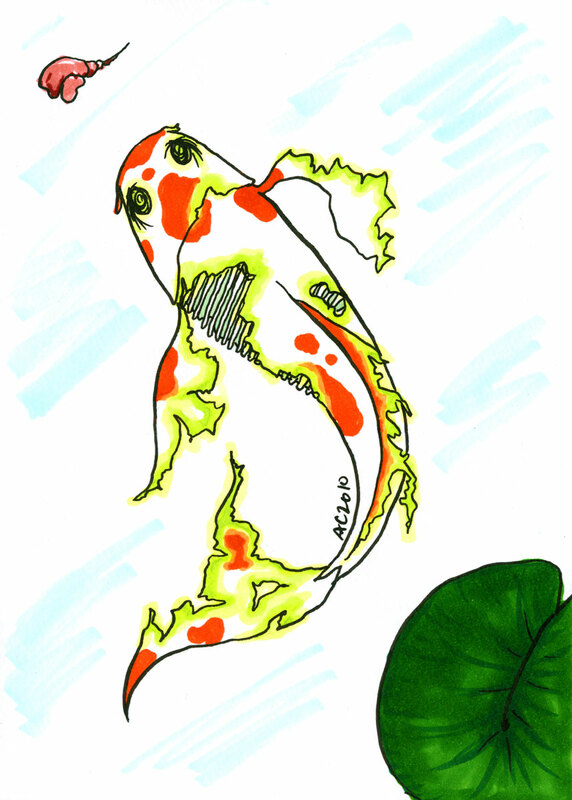 Zombie Koi, 5″x7″ pen and ink and Copic markers on watercolor paper.